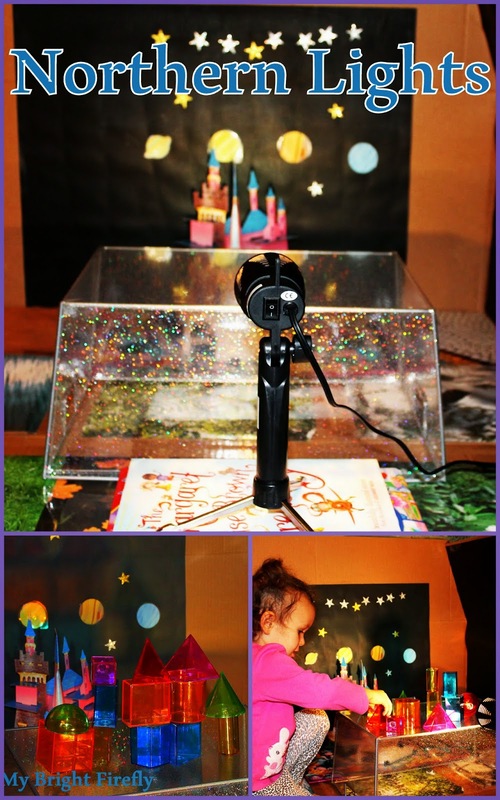 We used a limited choice of only cubes and craft sticks to set up these party games. 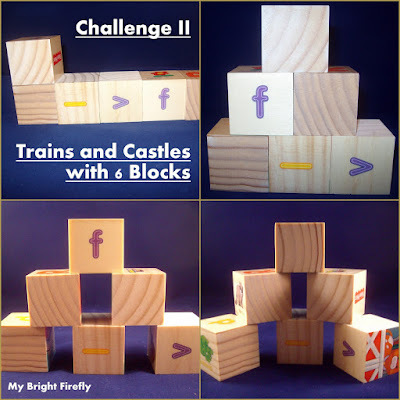 Fun and easy challenges sparked an interest in building and got kids problem solve and create till the end. It seems like a long article, but the quick challenges took about 5 minutes to complete, followed by extended free play. 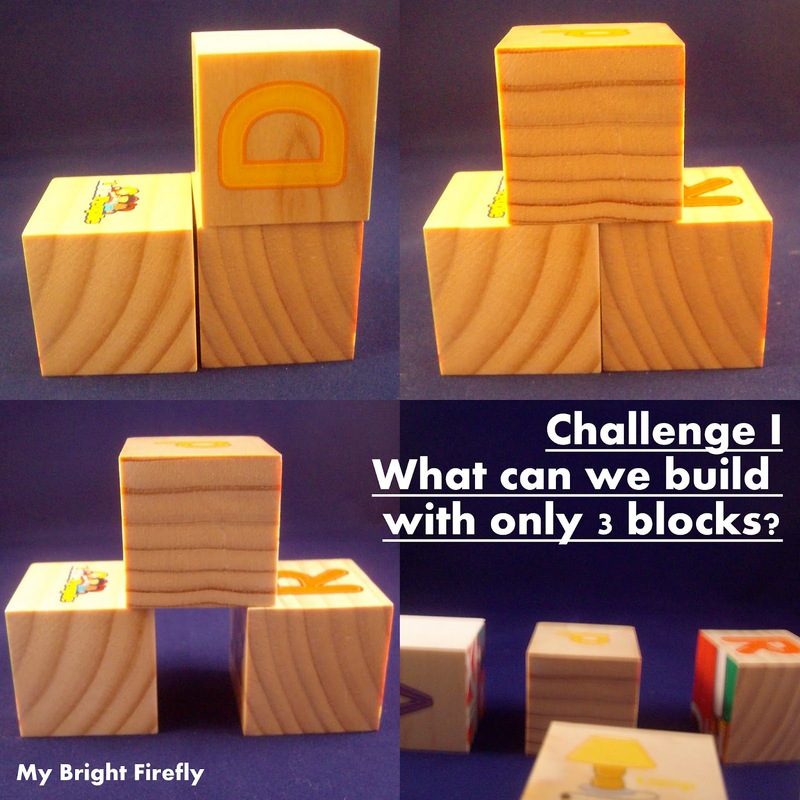 And My Firefly keeps building and creating ever since! 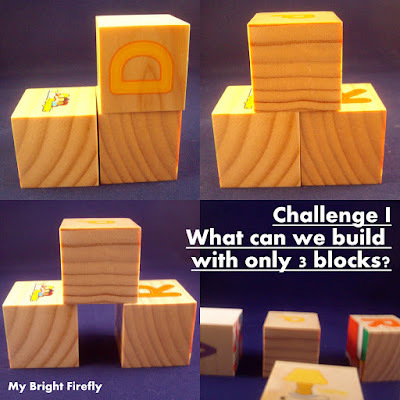 For the first challenge, only 3 blocks were offered with the question, "What can we build with only 3 blocks?" Kids came up with the stairs/a car and a small castle. Can we make a door/window for this castle? (picture 3 below). Can we make 2 windows? (picture 4 below). What else does this structure look like? Do you need more cubes? Can we build more with 6 blocks then with 3 blocks? The wooden jumbo craft sticks (a set of 300) are of a nice quality and were found at Walmart, craft section. 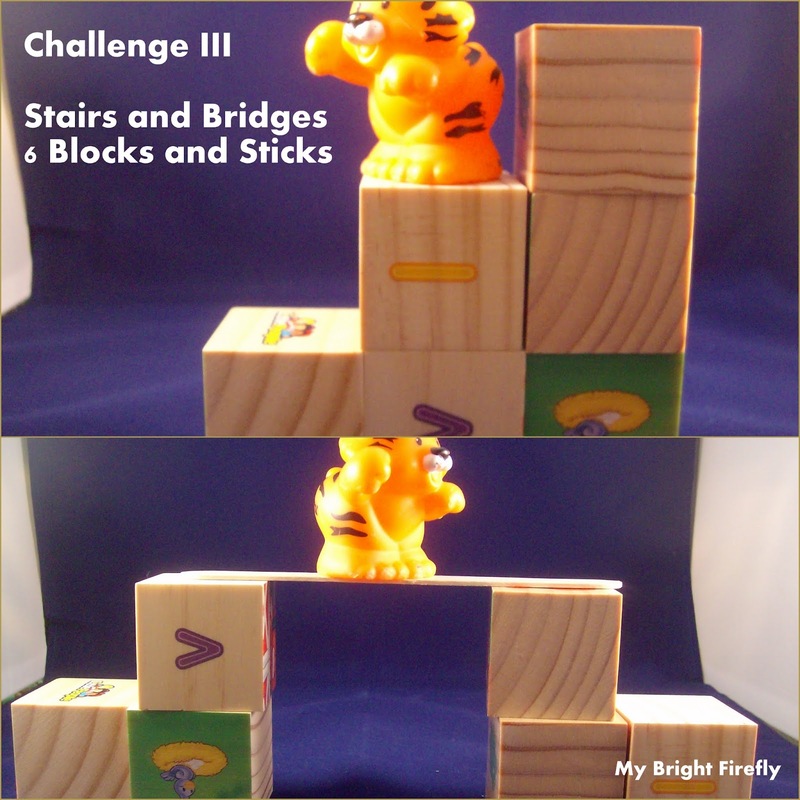 Can the tiger go up/down the stairs? Can you build a gate for this princess (the height of 3 blocks up required for this doll). Here is a river! The tiger needs a bridge! But now he can't climb up - he needs a bridge with the stairs! Can you build the longest bridge ever? 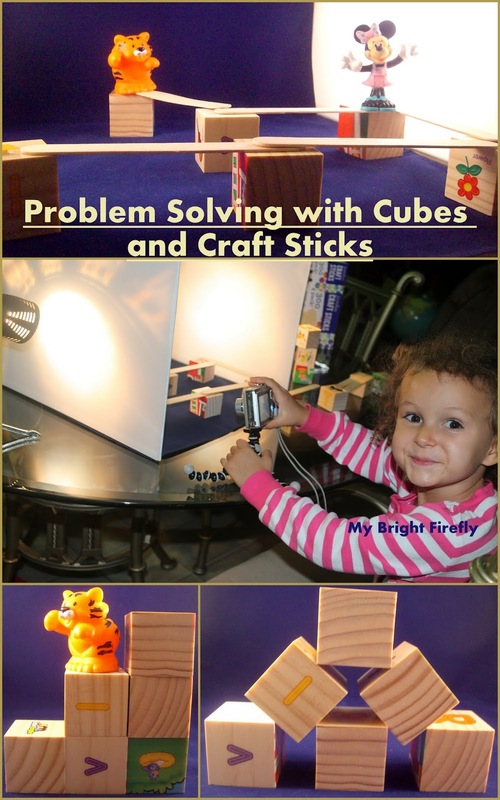 Problem Solving with Cubes and Craft Sticks: Time to Get Creative and Pretend Play! The quick challenges that went from simple to more complex left kids happy building and with the nice sense of accomplishment. Pictured below, we used a piece of felt underneath this structure to prevent the base cubes from sliding. The last cube requires a little concentration to balance. The "longest bridge ever" turned into fun mazes for Minnie. These friends loved playing in the construction zone and testing all the structures for safety and stability. 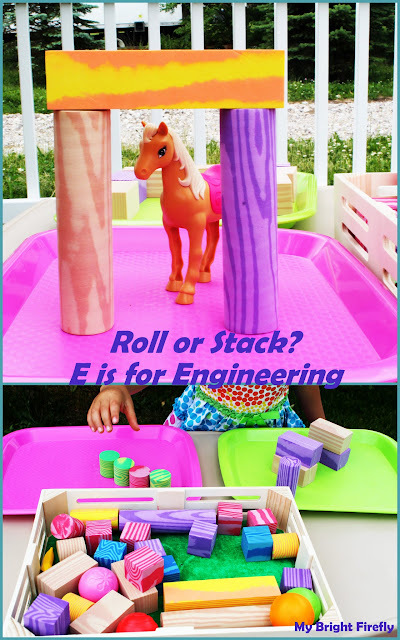 Engineering and pretend play that came together are such a wonderful mix for the developing brain! 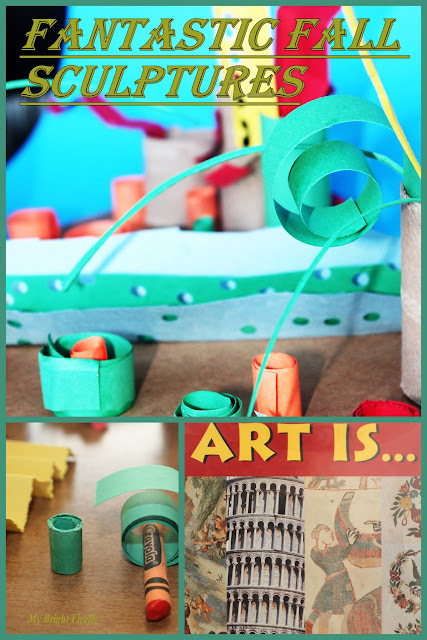 This snake took a minute to build, but turned out very manageable. Happy engineering and building with your kids! Have they created something interesting recently? Northern Lights. Sunset and Sunrise.